Extreme Networks a Penny Stock on the Rise? Home / Reviews / Extreme Networks a Penny Stock on the Rise? Pros: Extreme is a profitable company with analysts projecting year over year increases in revenue and net income. The company has a big chunk of cash in the bank. It trades on the NASDAQ where financial and reporting standards are high. Cons: The stock price has decline in a strong upward market. The price decline may be due to downward earnings per share revisions. Relatively new management leaves a question as to whether they can execute on their strategy in the competitive networking industry. If you believe all the hype on the internet these days there is big money to be made in penny stocks, but with it comes big risk that includes the potential to be caught up in a myriad of pump and dump schemes in which you will always loose. Picking a penny stock on the rise is sometimes a risky and arduous endeavor. So how do you avoid the bad and invest in the good? First, it can help if you pick penny stocks from the larger exchanges which have solid reporting requirements and financial standards are high for One way is to have a solid list of criteria to judge penny stocks to watch or buy and in this article I will employ five criteria. 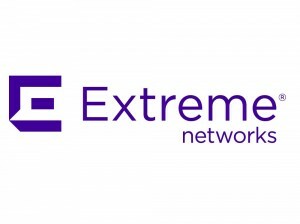 Today I am going to look at Extreme Networks Inc (“Extreme”) as an example using these 5 criteria and rate the security on a 1-5 star ranking with 5 stars being the best. Extreme is trading below $5 per share and has a small market capitalization qualifying it for penny stock status. However, it does have a solid balance sheet and is profitable. Read on to learn more why Extreme Networks may be a penny stock on the rise. The company has traditionally posted positive operating and free cash flow on an annual basis. The company acquired Enterasys, another network infrastructure company with about $330 million in sales, late in 2013 but the deal is currently anticipated to add to 2014 earnings and produce positive operating cash flow. The company financed the acquisition with $105 million in cash on hand and $75 million of debt. As of the March 31, 2014 SEC filing the company had $106 million of cash on hand. Extreme focuses on serving primarily the hotel, hospital, government agencies and education markets through value added re-sellers who sell and support the networking equipment they produce. With the acquisition of Enterasys revenues will double. The company is anticipating a two-year integration effort, which may add additional expense but should be more than offset by integration synergies. With larger top-line revenue comes the ability to accelerate innovations in both platforms through the investment in complementary R&D efforts which will be critical to the long-term success of the combined company. As the economy continues to recover and the after effects of the great recession are relieved by decreasing unemployment the markets that Extreme has historically served are poised for growth and with growth comes a greater need for network infrastructure which sets the stage for prolonged growth over the intermediate to long-term horizon. For penny stock traded companies, management quality should be evaluated above all else. With fewer resources than larger companies there is less chance to recover if a mistake is made. The company’s current CEO, Charles Berger has been on the job since April 2013 and has preceded over a stock price decline from around $6 to $4.35 as of July 7th. Although this is certainly not a sign of confidence, it does not necessarily rise to the level of incompetent management. The esoteric analyses that define quality management are hard to pin down for any investor, but in the end it comes to answering the basic question: Did they do what they said they were going to do? Extreme has met or exceed consensus estimates in 3 of the past 4 quarters, not perfect but certainly not bad either. Combine that with a new CEO who has been there just over a year and I give it a star ranking of 3. Extreme trades on the NASDAQ Global Select Market that has strict financial and liquidity requirements and corporate governance standards for all represented companies and is more exclusive then its Global Market. The company is current with all its required SEC filings. Its auditors are KPMG, one of the 4 largest in the world with a strong reputation. Extreme currently trades at a forward P/E of 11.8 compared to the S&P 500’s of 17.4 and a price to sales of 0.9 compared to the industry average of 2.3. With a consensus target stock price of $7.50 per share it appears to be trading at a sufficient discount to take into account management execution risk and merger integration upside along with improving overall market opportunities. With approximately 96 million shares outstanding, a 98% float and a 10-day average volume close to 1 million shares, moving in and out of a position in blocks of 10 thousand or more should not be a problem. This valuation, along with the company’s solid balance sheet make it an intriguing penny stock to watch.